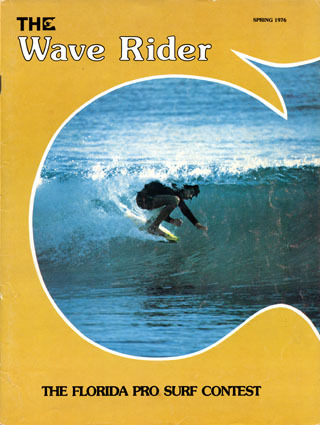 Wave Rider was a quarterly surfing publication from Florida that launched in 1975. 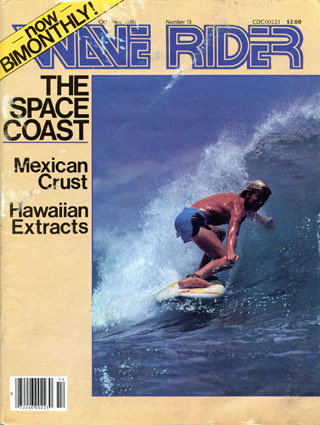 Based in Cocoa Beach and founded by Gunnar Griffin and John Griffin, two brothers from the Space Coast, the publication had a successful run for nearly seven years until the early 1980s. Staff photographers included Rob Battipaglia, Joaquin Garcia and Larry Marshall. 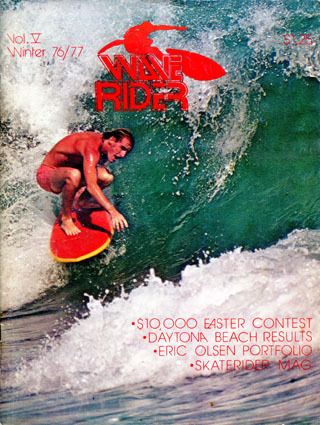 Wave Rider not only covered the international surfing scene but offered more inclusive coverage of the East Coast of the United States. 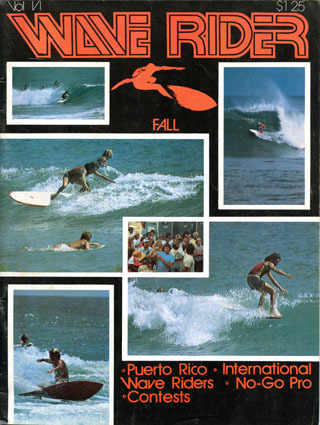 In 1976 they became a heavy hitter when they co-sponsored the Florida Pro, a spring competition at Sebastian Inlet that was achieving international fame. 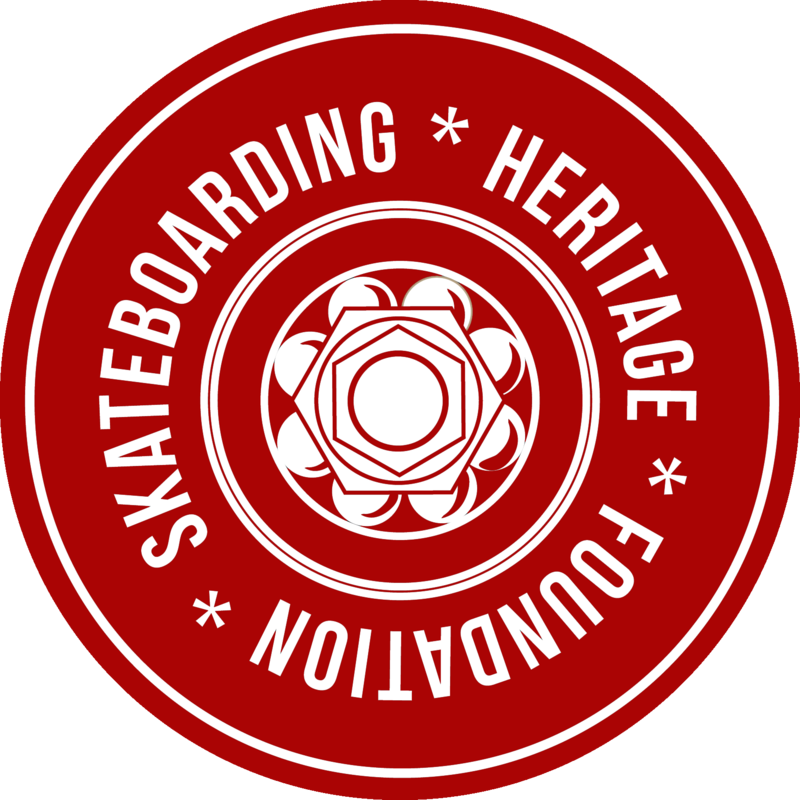 From the start, they also gave skateboarding some needed recognition. 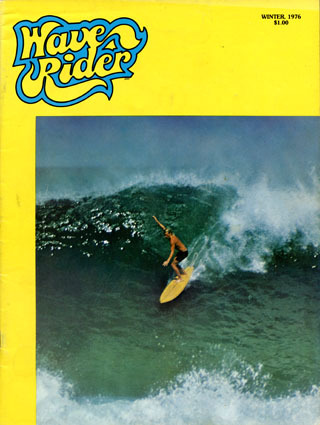 In 1976 their regular skateboarding feature, "Skateboarding Traffic," was turned into its own dedicated publication. 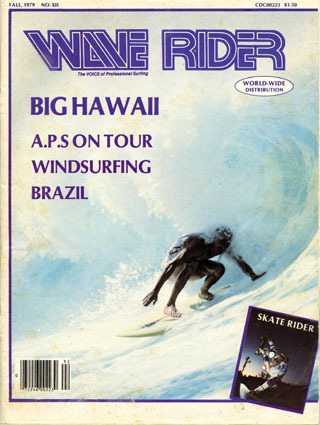 Known as Skate Rider, it was literally published back-to-back with Wave Rider, sharing the same spine. 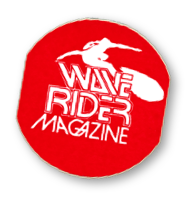 This was a smart move in ways, as they were able to save some printing costs and distribute this new magazine quickly using the same channels already established by its surfing publication. By the 1980s there was trouble on the horizon. A declining audience and decreased revenue from ads made it difficult to keep their doors open any longer. 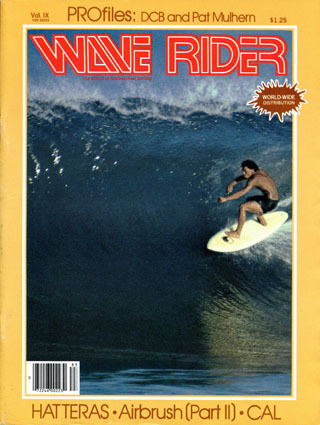 Skate Rider was the first to disappear, followed by Wave Rider after the 1981-1982 recession achieved full swing. 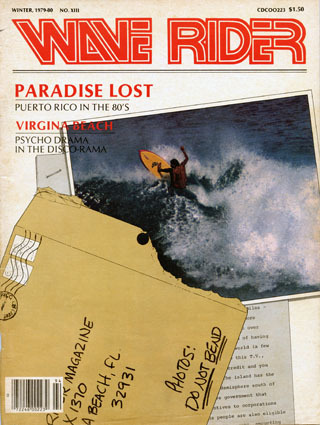 On the cover: Gary Branham, Bullet Beach, Puerto Rico. On the cover: Joe "Cuppy" at Jungle Road, West Palm Beach, Florida. On the cover: Peter Hodgson at Sebastian Inlet, Florida. 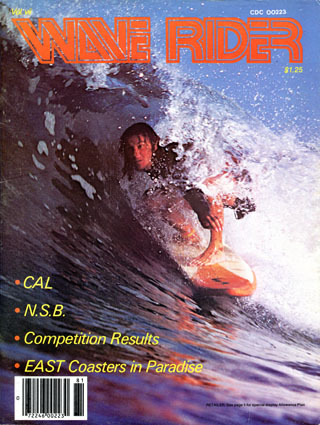 On the cover: Sebastian Inlet action and Eastern Professional Surfers. On the cover: Tom Sutherland. 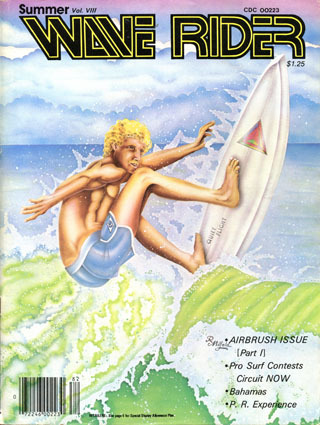 Airbrush Issue, part 1; Pro Surf Contests Circuit; Bahamas; Puerto Rico. On the cover: Dane Kealoha, Backdoor, Hawaii. 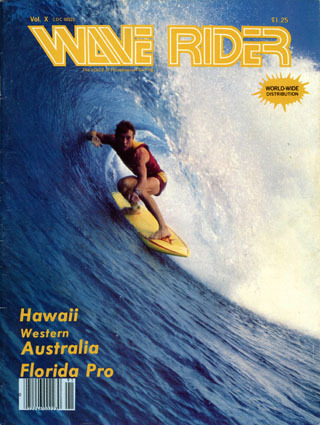 On the cover: Bobby Owens at Off The Wall, Hawaii. On the cover: Sam George, Caribbean. On the cover: Rory Russell, Pipeline, Hawaii. On the cover: Edwin Santos, Puerto Rico. On the cover: Matt Kechele, Space Coast. 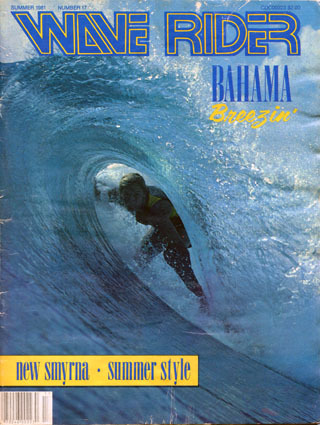 On the cover: Pat Mulhern at "Japans," Bahamas. Stubbies East; Matt Kechele pulls off aerials to win.